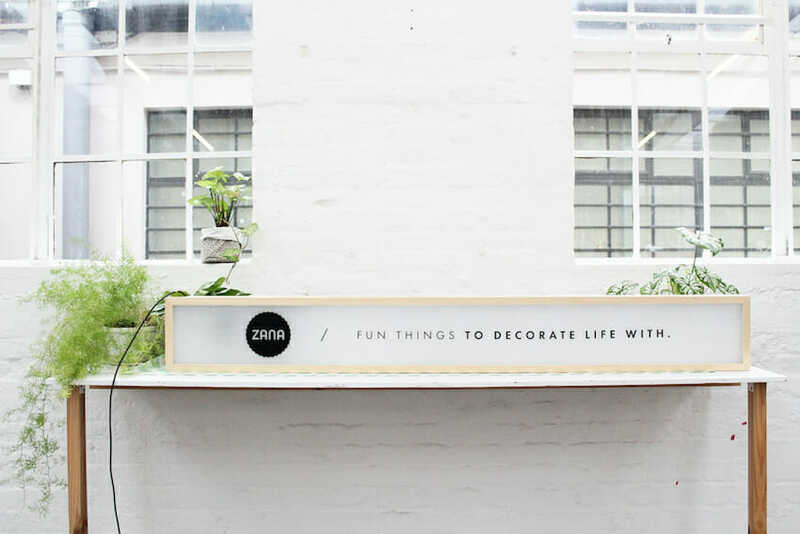 Zana has a *BRAND NEW* retail space at Mojo Market in Seapoint, Cape Town. Our shop needed signage and so this DIY came about! 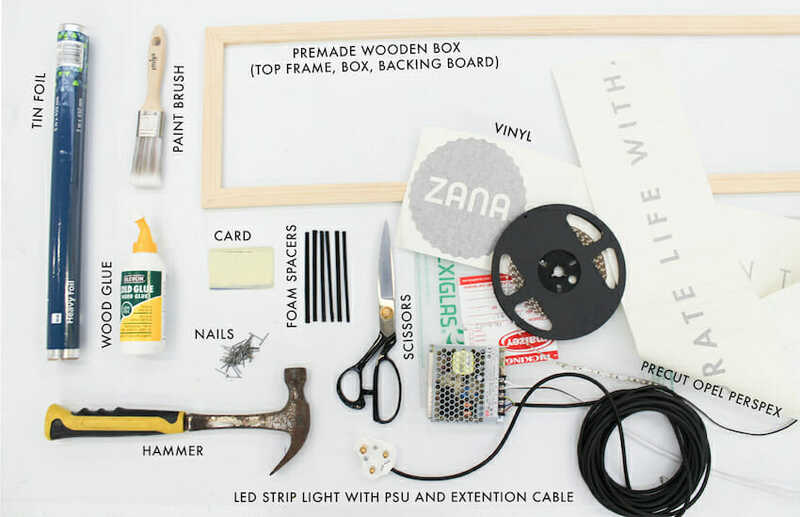 Thought up by Sue Britz co-founder of Zana, it was super quick and easy to make. 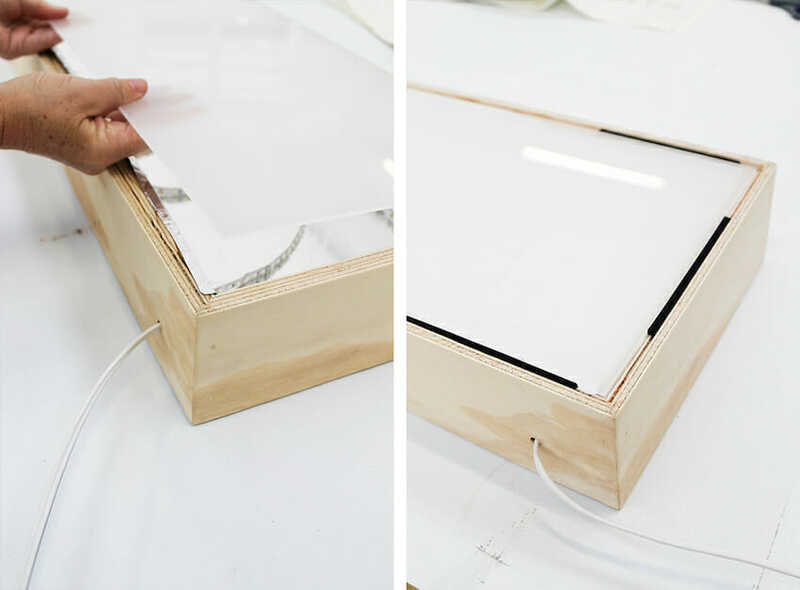 As you can imagine opening a shop is expensive and well…budgets are tight, so if we can make a lightbox ourselves for a fraction of the price, why not! Now you can make one too! YAY! 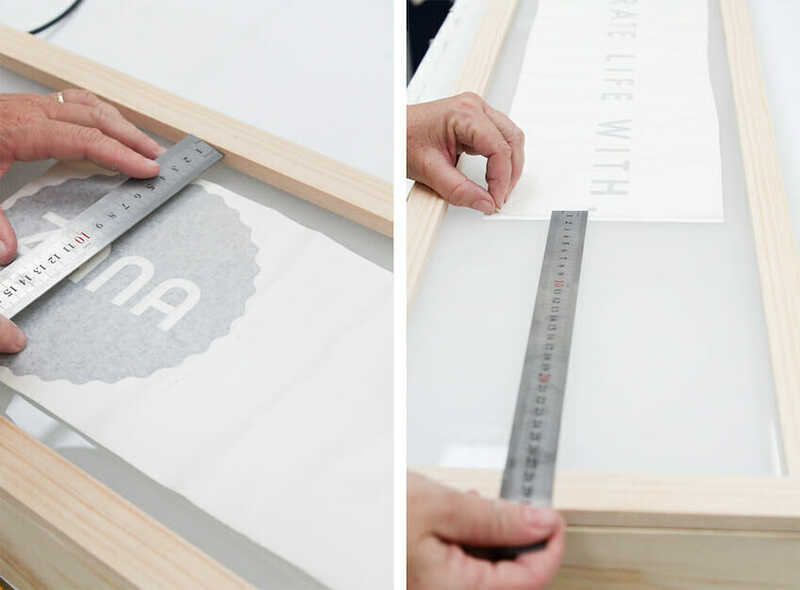 *These are instructions on how to make a lightbox the same size as ours. Adjust dimensions ect to get the shape/size you want. 5m LED flex strip light with PSU, 8m of 3 core cable and 3 prong plug attached. Black gloss, commercial grade vinyl. Step 1: Once you have all your bought elements together begin by piecing it together. Fix the back board to the box with some tape, or get someone to hold it for you while you nail it to the box. 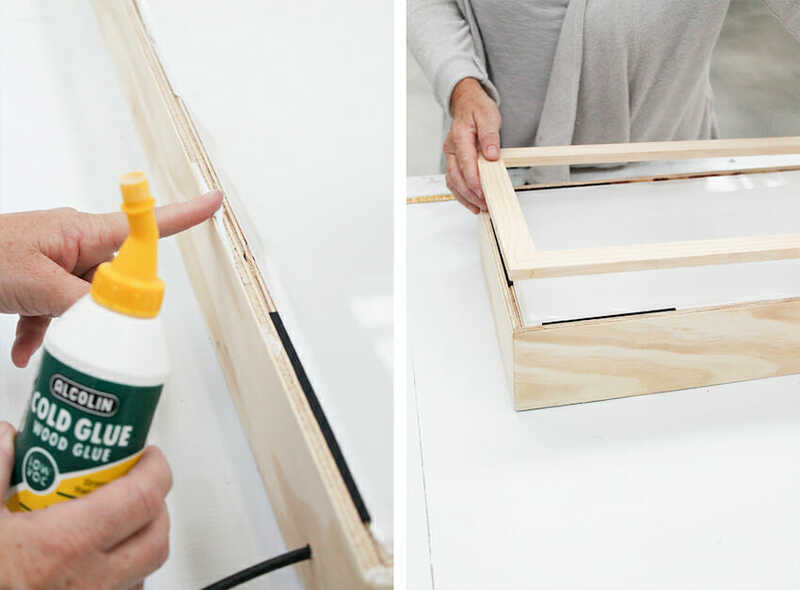 Step 2: Using your paint brush apply wood glue to the full inside of your box. Don’t forget the sides! Line the inside of the box with tin foil, shiney side up. We found that cutting out the corners helped. 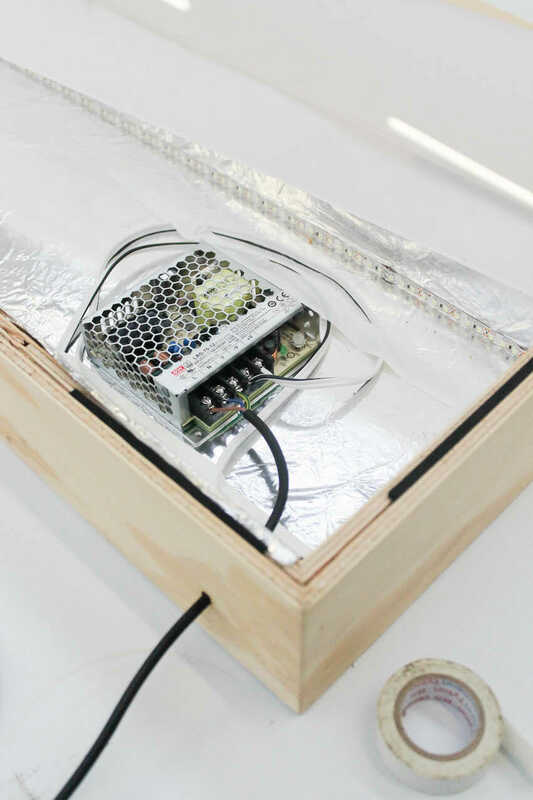 Step 3: Once your box is lined, plan where you will be running your LED light strip. We would recommend that you place it at the bottom of your box for an even glow, if it is too close to the perspex it will shine to bright along the edges. Once you have it in place, pull back the release liner and apply. Fasten the PSU down with tape and thread the cable through the hole, then attach your 3 prong plug. NB: If you do not need the full 5m length of LED, you can cut it but ONLY on the section marked with a tiny scissors icon. Cutting anywhere else on the strip will break the circuit and your lights will not work. 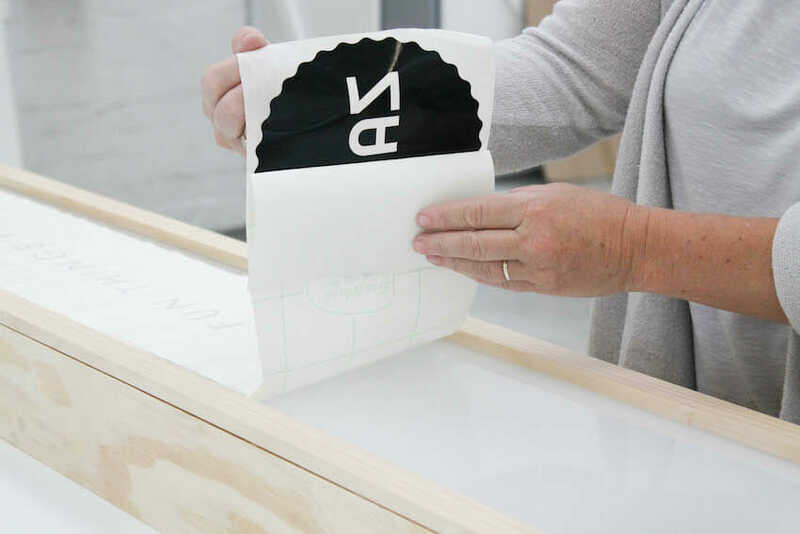 Step 4: Pull the release liner off your precut sheet of perspex, lay the perspex into the box. Remember the 5 mm rebate on both sides? That will stop the perspex from falling to the base of the box. 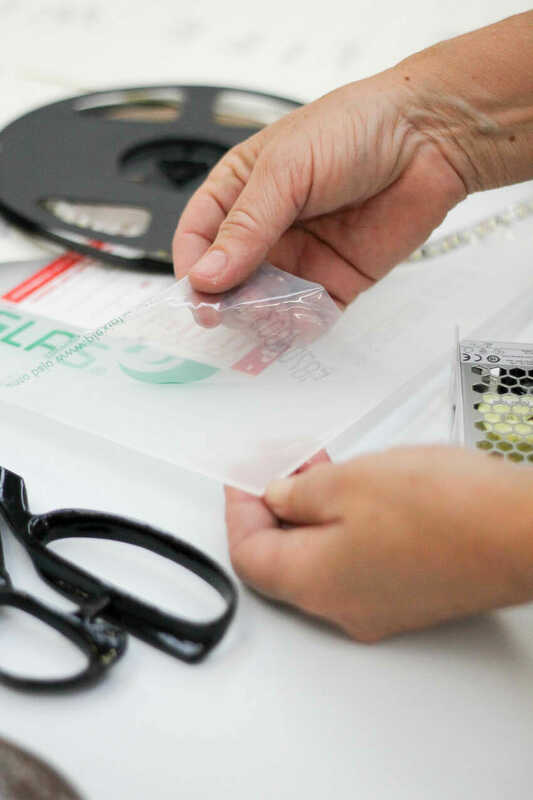 Once that is in place, use the foam spacers to ensure that the perspex is properly fitted and doesn’t move at all. 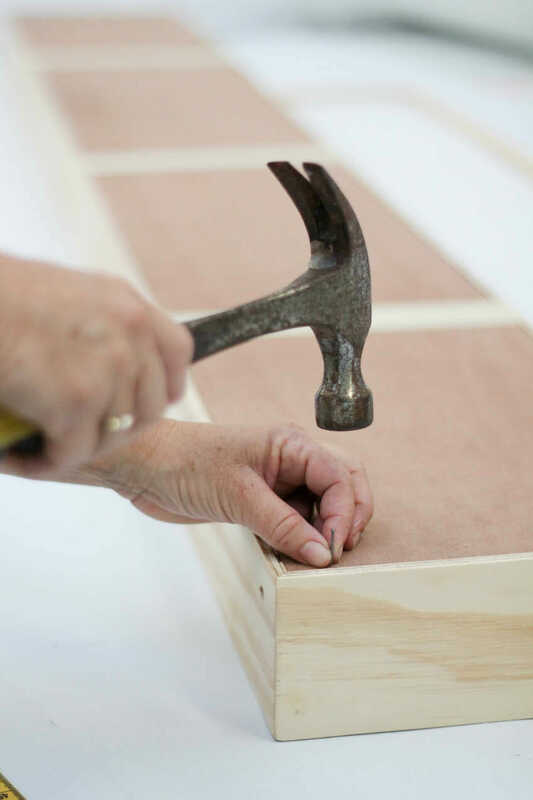 Step 5: Using a brush, or finger, apply wood glue to the edge of the box. 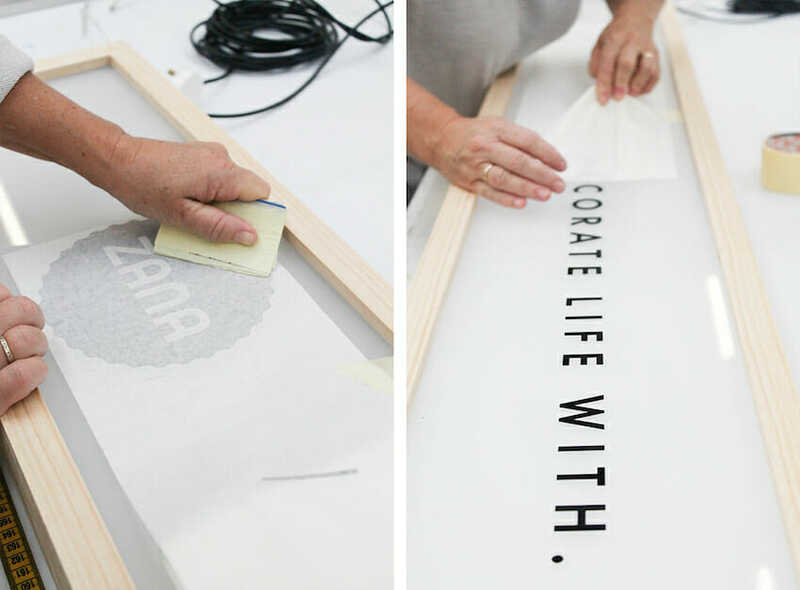 Do it quickly to prevent it from drying out, then place the top frame in place. Apply weight to ensure it sticks all the way around. Step 6: Lay your vinyl on top of the perspex, measure and lightly mark where you want to stick it down. Remove the backing and start putting it down on the perspex, scratch the back side of the vinyl with your card to ensure each letter/the image sticks to the surface. Step 7: plug it in and flip the switch! Ta da! Above is a quick snap of the light box before we shipped it off to Mojo Market, our lightbox is mounted up on the wall at our new shop, pop in and see it! Passed on the message to Sue. Thank you so much for your kind words.